Bladder or bowel leakage will affect more than 1 in 6 people in their lifetime and my research aims to help them lead their lives with confidence and dignity. Innovations in product development need to bring in new materials and new designs to create clothing and devices that look good and feel good. I work with patients, microbiologists, engineers and designers to understand the limitations and problems of current products, analyse the needs of different users and create new ways of managing incontinence and new products that people can trust. Nowadays there are many new and effective treatments for incontinence but when interventions don't work, or for those who cannot benefit from them, better products are needed. No one should have to live their life in fear of bladder or bowel leakage. 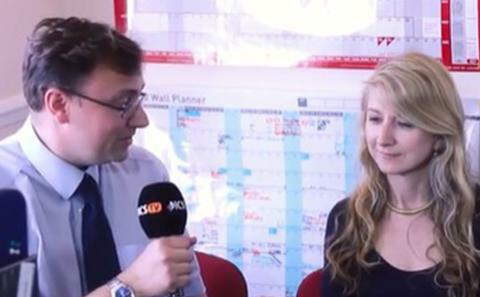 Radio Interview - Is it time for Catheters to be redesigned? This is part of the STAR programme: Development, Implementation & Integration of a Comprehensive Prostate Cancer Survivorship Programme into Practice (The STAR Programme: Personalised Supported Self-Management and Remote Monitoring for Men with Prostate Cancer). 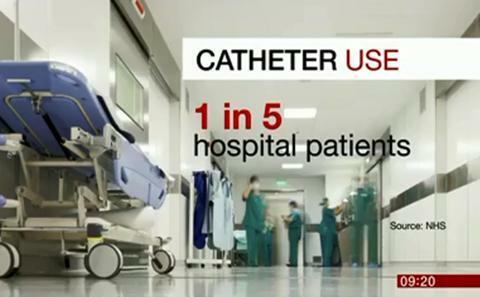 Biofilm development on urinary catheters is a major healthcare issue, leading to infection and blockage. Here we are using advanced microscopy and viability techniques to improve our understanding of biofilm development and persistence on urinary catheters. 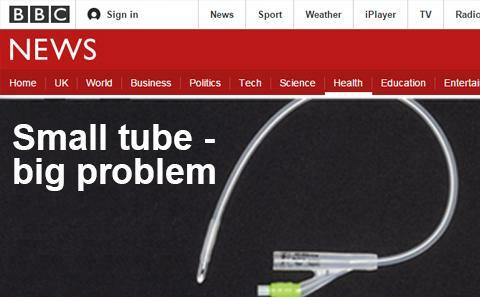 This randomised controlled trial is designed to find out whether people who suffer repeated urinary tract infections (UTI) related to the need to empty their bladders intermittently with a fine plastic tube (catheter); a process called clean intermittent self-catheterisation (CISC), benefit from taking continuous daily low-dose antibiotics (antibiotic prophylaxis). To determine efficacy of postal v. face to face screening for reporting of faecal incontinence (FI) and uptake of interventions to improve continence in people with IBD. Green, S., Townsend, K., Jarrett, N., & Fader, M. (Accepted/In press). The experiences and support needs of people living at home with an enteral tube: a qualitative interview study. Journal of Human Nutrition and Dietetics. Murphy, C., De Laine, C. R., Macaulay, M., & Fader, M. (Accepted/In press). 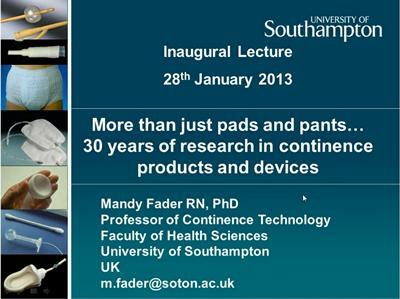 Continence pad provision: meeting patients’ fundamental care needs. Nursing Times. Collins, L., Sathiananthamoorthy, S., Fader, M., & Maolone-Lee, J. (Accepted/In press). Intermittent catheterisation after Botulinum toxin injections: the time to reassess our practice. International Urogynecology Journal, 1-22. Wilks, S., Katsamenis, O., Carugo, D., Zhang, X., Fader, M., & Keevil, C. W. (2016). The use of x-ray micro computed tomography (m-ct) to understand crystalline biofilm blockage in urinary catheters. Neurourology and Urodynamics, 35, S328-S329. Fader, M., Macaulay, M., Delgrado, D., & McClurg, D. (2015). Options for users of intermittent catheters. Nursing Times, 111(22). Farrington, N., Fader, M., Richardson, A., Prieto, J., & Bush, H. (2014). Indwelling urinary catheter use at the end of life: a retrospective audit. British Journal of Nursing, 23(9), S4-S10. Farrington, N., Fader, M., & Richardson, A. (2014). Managing urinary incontinence at the end of life: an examination of the evidence that informs practice. International Journal of Palliative Nursing, 19(9), 449-456. Westwood, G., Fader, M., Roberts, L., Green, S. M., Prieto, J., & Bayliss-Pratt, L. (2013). How clinical academics are transforming patient care. Health Service Journal. Macaulay, M., van den Heuvel, E., Jowitt, F., Clarke-O'Neil, S., Kardas, P., Blijham, N., ... Cottenden, A. (2007). A noninvasive continence management scheme: development and evaluation of a novel toileting device for women. Journal of Wound, Ostomy and Continence Nursing, 34(6), 641-648. Macaulay, M., Clarke-O'Neill, S., Cottenden, A., Fader, M., van den Heuvel, E., & Jowitt, F. (2006). Female urinals for women with impaired mobility. Nursing Times, 102(42), 42-47. Clarke-O'Neill, S., Pettersson, L., Fader, M., Cottenden, A., & Brooks, R. (2004). A multicenter comparative evaluation: disposable pads for women with light incontinence. Journal of Wound, Ostomy and Continence Nursing, 31(1), 32-42. Macaulay, M., Pettersson, L., Fader, M., Brooks, R., & Cottenden, A. (2004). A multicenter evaluation of absorbent products for children with incontinence and disabilities. Journal of Wound, Ostomy and Continence Nursing, 31(4), 235-244. Macaulay, M., Clarke-O'Neill, S., Fader, M., Pettersson, L., & Cottenden, A. (2004). A pilot study to evaluate reusable absorbent body-worn products for adults with moderate/heavy urinary incontinence. Journal of Wound, Ostomy and Continence Nursing, 31(6), 357-366. Macaulay, M., Clarke-O'Neill, S., Fader, M., Pettersson, L., & Cottenden, A. (2004). Are washable absorbents effective at containing urinary incontinence? Nursing Times, 100(12), 58-62. Macaulay, M., Pettersson, L., Fader, M., Cottenden, A., & Brooks, R. (2004). Disposable pull-ups versus disposable nappies for children with a disability. Nursing Times, 100(20), 64-65. Newman, D. K., Fader, M., & Bliss, D. Z. (2004). Managing incontinence using technology, devices and products: directions for research. Nursing Research, 53(6-Supp), S42-S48. Clarke-O'Neill, S., Pettersson, L., & Fader, M. (2003). An evaluation of disposable pads for women with light incontinence. Nursing Times, 99(19), 69-72. Fader, M., Clarke-O'Neill, S., Cook, D., Dean, G., Brooks, R., Cottenden, A., & Malone-Lee, J. (2003). Management of night-time urinary incontinence in residential settings for older people: an investigation into the effects of different pad changing regimes on skin health. Journal of Clinical Nursing, 12(3), 374-386. Clarke-O'Neill, S., Pettersson, L., & Fader, M. (2003). Washable products for women. Nursing Times, 99(1), 57-58. Fader, M., DeLaine, C., Norton, C., & Prieto, J. (2012). Managing continence. In I. Bullock, J. Macleod Clark, & J. Rycroft-Malone (Eds. ), Adult Nursing Practice. Using Evidence in Care Oxford, GB: Oxford University Press. Cottenden, A., Bliss, D., Fader, M., Getliffe, K., Herrera, H., Paterson, J., ... Wilde, M. (2005). Management with continence products. In P. Abrams, L. Cardozo, S. Khoury, & A. Wein (Eds. ), Incontinence (pp. 149-253). Paris, France: Health Publication Ltd.
Wilks, S., Newland, R., Bryant, C., Keevil, C., Fader, M., & Tincello, D. (2017). Biofilm development on polypropylene midurethrel tape (MUT): implications for post-operative exposure and extrusion. Poster session presented at Incontinence, London, United Kingdom. Wilks, S., Katsamenis, O. L., Carugo, D., Keevil, C., & Fader, M. (2017). The use of micro-computed tomography and advanced imaging techniques to study crystalline biofilm blockages in urinary catheters. Poster session presented at Incontinence, London, United Kingdom. Wilks, S., Morris, N., Delgado, D., Prieto, J., Moore, K., Macaulay, M., & Fader, M. (2016). Development of an effective and acceptable cleaning method to allow safe re-use of plain, uncoated catheters for intermittent catheterisation. Poster session presented at International Continence Society, Tokyo, Japan. Wilks, S., Katsamenis, O. L., Carugo, D., Fader, M., & Keevil, C. (2016). The use of X-Ray micro-computed tomography (μ-CT) to understand crystalline biofilm blockage in urinary catheters. Poster session presented at International Continence Society, Tokyo, Japan. Wilks, S., Fader, M., & Keevil, C. (2015). A new understanding of the Proteus mirabilis crystalline biofilm: Implications for catheter management. Paper presented at UK Continence Society Annual Society, London, United Kingdom. Wilks, S., Fader, M., & Keevil, C. (2015). Understanding catheter-associated Proteus mirabilis biofilm blockage: the application of advanced microscopy techniques. In IMechE Proceedings, Incontinence: The engineering challenge X IMechE. Wilks, S., Prieto, J., Fader, M., & Keevil, C. (2014). New approaches in the detection of biofilms on catheters. Paper presented at RCN International Nursing Conference 2014, Glasgow, United Kingdom. Wilks, S., Prieto, J., Fader, M., & Keevil, C. (2014). Unravelling catheter biofilms: A new approach. Poster session presented at International Continence Society, Rio de Janeiro, Brazil. Murphy, C., Prieto, J., & Fader, M. (2012). A systematic review of interventions to minimise the initial use of indwelling urinary catheters in acute care. Poster session presented at UK Continence Society Annual Scientific Meeting, . Fader, M., & Prieto, J. (2012). Clinical academic careers: the new face of nursing?. Sigma Theta Tau International Scholarship Event, Phi Mu Chapter (England), . Wilks, S., Koerfer, V., Prieto, J., Fader, M., & Keevil, C. W. (2012). New approaches in the detection of biofilms on catheters. Association for Continence Advice Conference & Exhibition 2012, United Kingdom. Latter, S., Richardson, A., & Fader, M. (2010). Clinical academic role descriptors: research. Southampton, GB: University of Southampton. Latter, S., Richardson, A., Fader, M., Coombs, M. A., Atherton, L., Bailey, C., ... Westbury, J. (2011). Clinical academic career pathway for nursing and allied health professionals: clinical academic role descriptors. Southampton, GB: University of Southampton. Mandy Fader received her nursing qualification from St. George’s Hospital, London in 1980. She began her career in continence with a research post at University College London (UCL) in 1982 and joined the clinical continence team in 1984. In 1995 she returned to research at UCL and worked on a programme of continence product evaluations, completing her PhD in 2001. 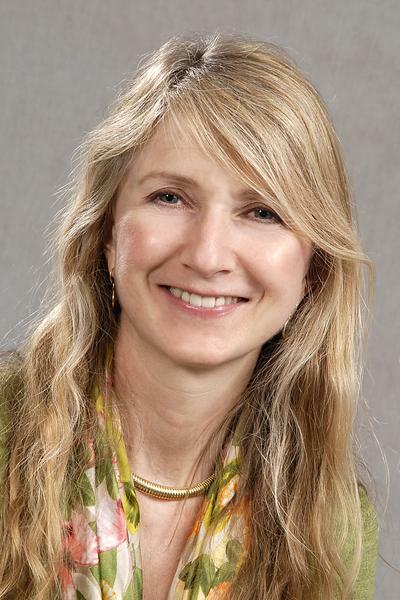 In 2004 she joined the University of Southampton’s Continence Technology and Skin Health group and leads a team of researchers focusing on research into continence products and devices, and the effects of incontinence on skin health. Mandy is an ex-Trustee of the International Continence Society (ICS), is currently a member of the ICS nurses committee, a committee member for the International Consultation on Incontinence (Management with Products chapter), an editor for the Cochrane Incontinence group, and consulting editor for the US Wound Ostomy and Continence Nursing journal.